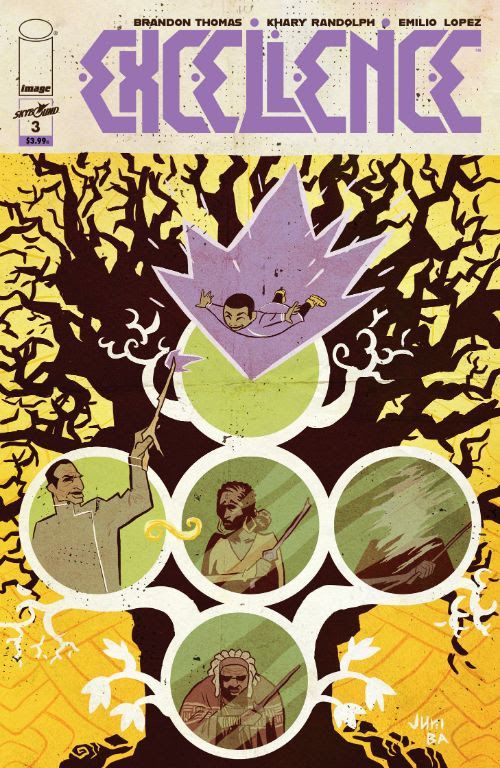 Image Comics’ upcoming series Excellence is about legacy and magic. One could say, too, that comic artists also work a sort of magic, putting out page after page of content for readers to enjoy. To celebrate comic creators of color who work this magic month in and month out, Image have announced a series of variant covers for Excellence. With work from Khary Randolph, Sanford Greene, and Juni Ba, these covers are certainly living up to the series’ name. PORTLAND, OR 04/05/2019 — Image/Skybound Entertainment is pleased to announce that the forthcoming Excellence by Khary Randolph (We Are Robin, Black, Tech Jacket) and Brandon Thomas (Horizon, The Many Adventures of Miranda Mercury) will feature a very special line of variant covers, “Visions of Excellence,” which will showcase the work of creators of color. Excellence #1 will hit comic shops and digital retailers on May 8.